I'm sooo super duper excited! I am a Guest Designer on Color Throw Down. I just have to say, this is my most favorite challenge to participate in! Colors move me! I don't always get it exactly right but when I do I get pretty pleased with myself. I have to admit though, some of the color combos have just not been my cup of tea and so I sat those challenges out. But this week's colors are FABBY! 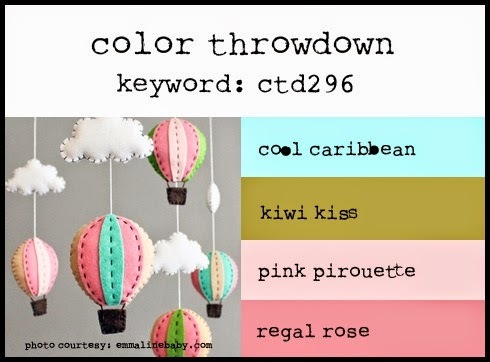 So without further adue here is the color combo for this week's Color Throw Down #296. Don't you agree? FABBY right! Looks just like ice cream to me! I'd like to Thank the Peeps @ Color Throw Down for this honor! 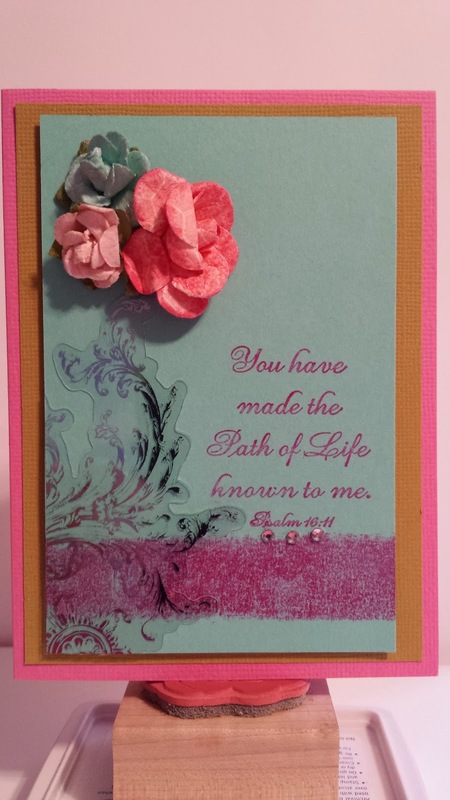 Beautiful card with the flourish and the flowers, Betty! I'm so glad you were our Guest Star Stamper this week!! Beautiful and the colors are gorgeous. Did you stamp on acetate for the swirly design? Wondeful! Love those flowers! Thxs for joining us this week! 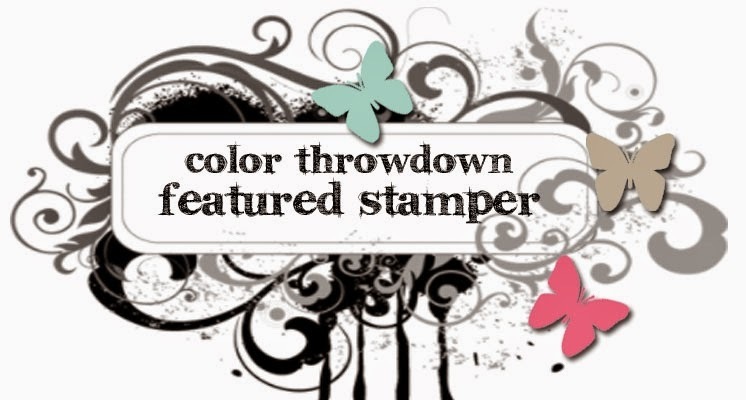 Beautiful use of the throwdown colors! We're so happy to have you as our star stamper!